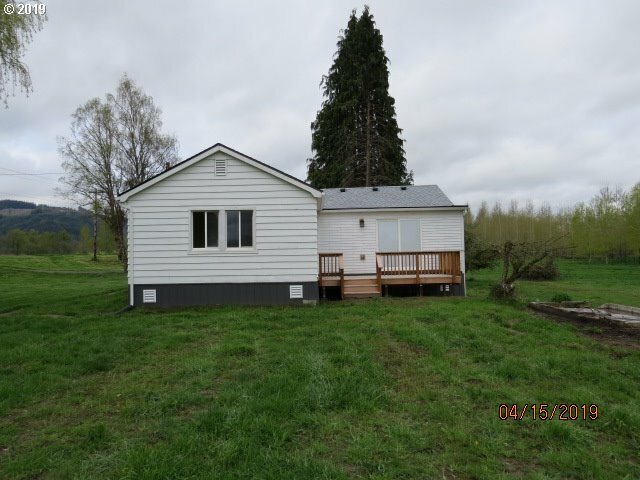 All Clatskanie homes currently listed for sale in Clatskanie as of 04/25/2019 are shown below. You can change the search criteria at any time by pressing the 'Change Search' button below. 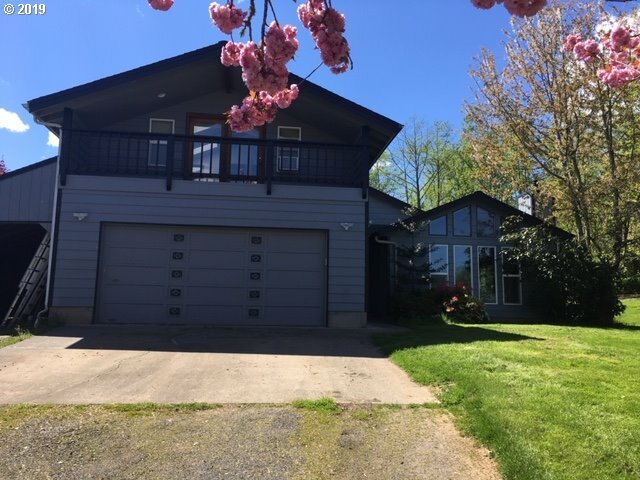 If you have any questions or you would like more information about any Clatskanie homes for sale or other Clatskanie real estate, please contact us and one of our knowledgeable Clatskanie REALTORS® would be pleased to assist you. "OLCC Tier 1 mixed license, Fully furnished home. Brand new 5750 sq ft. websteel building erected in Dec 2018. 2700 sq ft built out grow space. 77 double ended lights/ballast. 4-6tn and 1-5tn AC units,"
"This 24 acre property sits 300 feet above the Columbia. The home boasts 2000 square feet of one level living with a master suite. The dining room and front deck face north with views of Mount Saint Helens and Mount Rainier. Most evenings you will see eagles soaring past or ships traveling up the river . A 1,200 SF over-sized garage with shop is perfect for small business or studio." 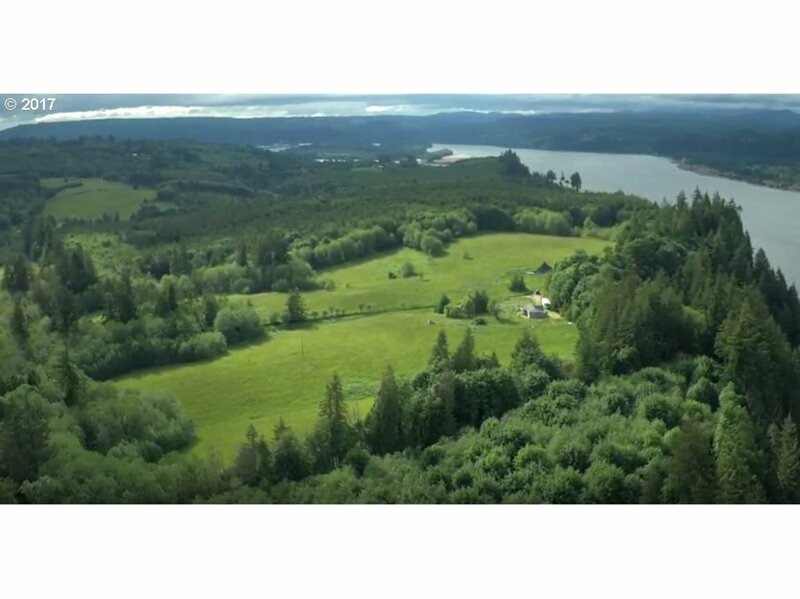 "Escape to the Pacific Northwest countryside with private, level acreage along the Columbia River. Lush forest frames a long driveway to a large clearing where a modest home overlooks the Majestic Columbia River. With more than 1400' of the river accessible by trails, live in a secluded fashion yet still nearby town. This property has great vineyard potential and the ability to be certified organic. Bring your dreams and your horses!" "A home like no other can be yours! 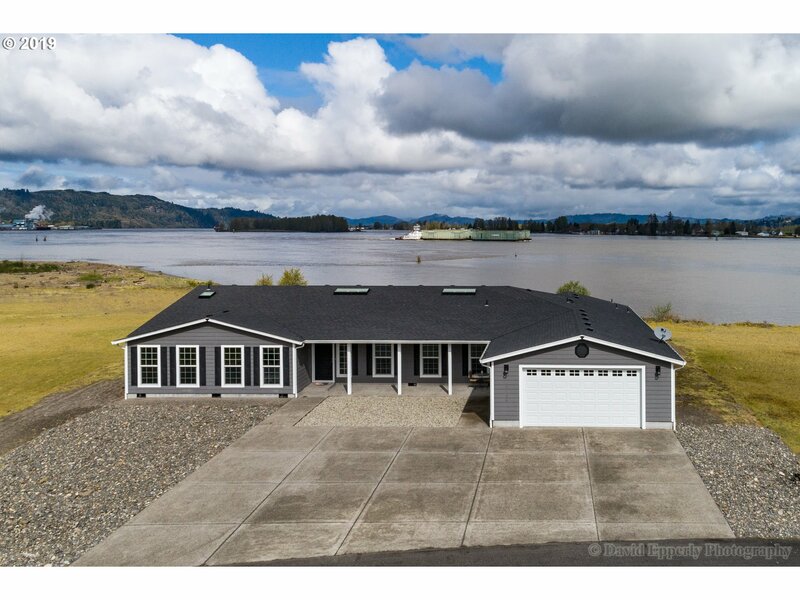 Custom ranch on the Columbia River. Watch the ship traffic glide past your windows while relaxing on the covered patio or enjoy coffee in your chef's kitchen with large cook island,custom cabinets & stainless appliances.Large rooms,open spaces,skylights,granite counters, wood floors plus exceptional 4 car garage.Easy care landscaping & loads of extra parking.Grab the opportunity to view while you can!" "If you have been looking for some land to purchase this is for you! This 1933 Farmhouse has been completely redone from the roof down to the post and beams. New roof, plumbing, electrical, septic, sheetrock, floors, bathroom, new windows, Move in ready! It has almost 70 acres with mature poplars on approximately 50 acres which could be sold in the future. Shop is approx. 30 x65. Fresh coat of paint on the outside when weather permits." "Opportunity for custom built home with wonderful views and quiet location! Property sits on over 2 acre with well & sand filter septic systems. This 2009 custom built home over 3,300 sqft with hardwood floors on main,tile upstairs,&carpet down. three master suites,4 sets of double French doors, granite kitchen counter tops,2 car garage, wood stove,4 bathrooms,covered patio setting, open floor concept&private office. SEE AMENITIES LIST"
"Spacious home with shop & barn. Nice updates and cozy fireplaces. Large family room downstairs perfect for extra living. Long distance Views to the northwest. Additional outbuildings,Septic is pumped and passed deq inspection, well gpm's are strong, passed potability. Home is ready for new buyer." "Large 1.5 story home, Mini farm, lots of outbuildings, x fencing for animals, chicken coop, garden, green house. 2 master suites, large covered back deck, covered balcony of one of the master suites, 3 full bathroom, family, living room, formal dining and a eat in breakfast nook. Lots of storage and room for toys." 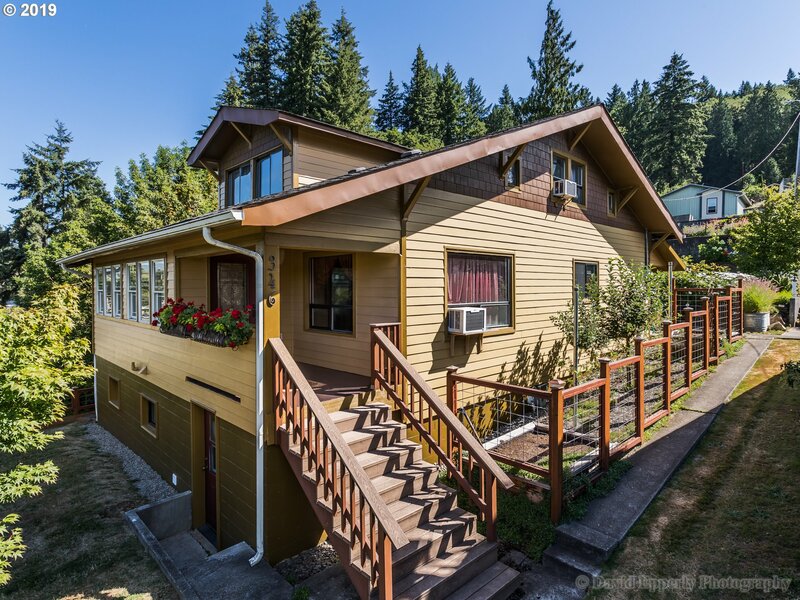 "Must see to appreciate this exterior/interior imported Cedar 3Bd 2Ba home with attic & basement.Covered Porch.Nearby town & schools.Very nice landscaping & established plantings around grounds. This home looks out over the slough and city land.Watch the birds & wildlife.Call for appointment." "Not your vanilla new build.. This house has super nice features. Quartz counters on all surfaces, Linen tile, Tankless Hot water, 50 year Arch. Shingles. Mission wood interior doors, High ceilings, wood trim throughout. New Washer & dryer included! Heat pump A/C Stone exterior on face with wood touches for a lovely front porch. Higher end Garage door opener,RV parking area." "Beautifully updated with modern touches throughout. Open concept floor plan with large deck that is easily accessible through the door off of the kitchen which is great for entertaining. Newer Stainless Steel appliances included. Custom organization systems in all bedroom closets. Attached extra tall garage with large storage loft and private off street gated driveway. This is turn key and move in ready!!!" "This Feel Good' thoughtfully restored 1930's era showplace will have you at the front door. Step inside to the gleaming hardwood floors, updated kitchen and bathroom. Master on the main. You'll find two bdrms upstairs and a fourth in the basement along with the second bath. The current owners have put their heart & soul into this home for nearly 30 years and it shows. Seller willing to participate in interest rate buydown." "Sweet farmhouse remodeled that retains charm. Brand new septic system. All appliances included in sale. Land needs your ideas to create your own special touch with lots of room for pets and your own gardens. Wrap around covered porch needs your rocking chair and flowers !" 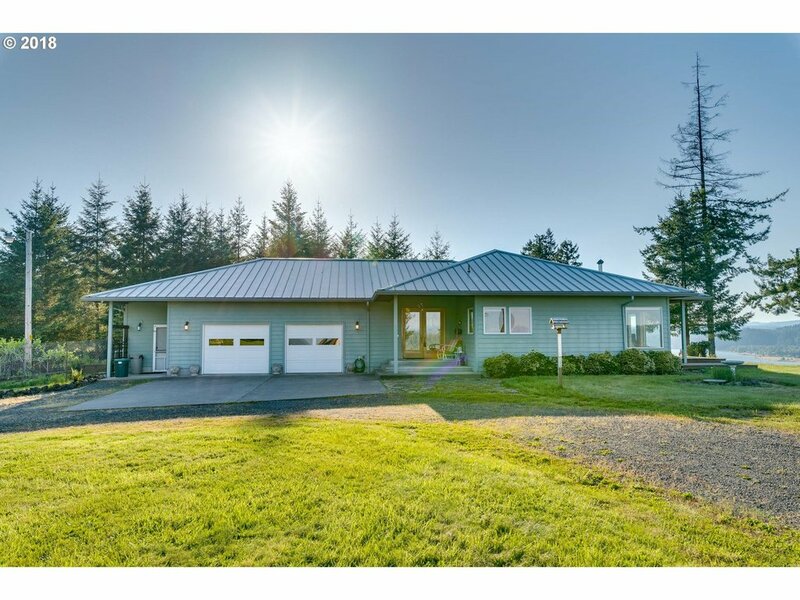 "Beautiful piece of property in a great location on quiet Johnson Road just minutes south of Clatskanie. Come enjoy the country lifestyle. Fully fenced 5.67 acres with a barn for your animals and a shop for your hobbies. 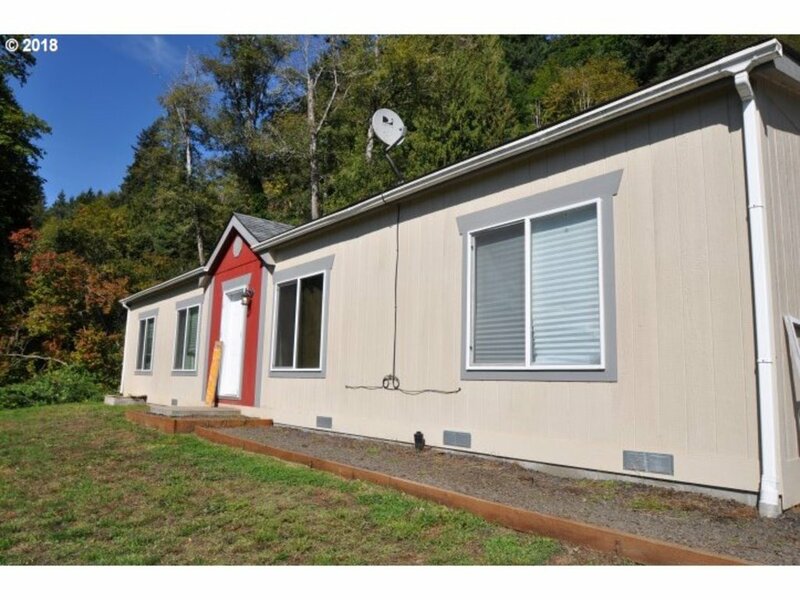 Existing 1975 manufactured home needs updating and repair. Or bring in a new one or start fresh and build your own country dream home." "Nice Floor plan, Has Formal Dining room & Kitchen dining area. Has 2 Bedrooms & a bedroom that needs sheetrock looks like it was done nice, plus a finished attic. 1/4 acre LOT! For FHA Loans HUD will allow up to $10,000. to be put on the end of Buyers loan for Lender required repairs." "Manufactured home close to town yet rural feel. Roomy Master suite with full bathroom & walk in closet. Warm color schemes,open floor plan, easy care yard. 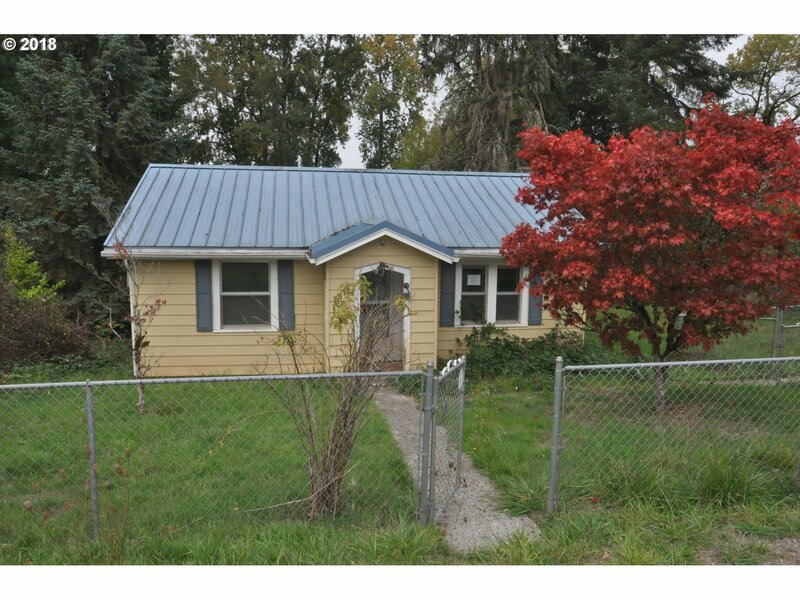 Great starter home or rental." "Great city, Valley view! !This 1910 home has charm, but needs some repairs and finishes.3 bedrooms upstairs, possibly 4.1 bedroom on the main and the basement has many possibilities with some finishing touches.Fenced back yard and large detached garage.The roof on the home is aprox 2 years old." "Starter/Fixer home on rural small lot. This home affords main level entry with large kitchen area. Metal roof, covered front and rear entries. Basement has outside entry and good for storage. Small tool shed and fully fenced yard. Minimum Earnest Money Deposit of 1% of the Purchase Price or $1,000, whichever is greater. *4/22 offer verbally accepted"